You may have not heard yet, or maybe you have but Camino is welcoming Beth Achterhoff as a guest practitioner! Her first dry needling sessions with us will begin on January 20th. She will be offering 30 minutes sessions which include actual needle time and time to relax to allow the needles to work. After that, you will see Ryan Ann for 30 minutes of therapeutic massage which includes hand on, feet on and fascia blades. How great does that all sound!? Let’s chat about the low down of dry needling. Dry needling is a modality that uses acupuncture needles, so just the little guys and they are placed in the trigger point or tender point of the muscle or fascia. Unlike acupuncture that focuses on meridians. It feels like a little pinch if even that. Sometimes you’ll have no idea it’s even there! The longer it’s in the more your muscle and fascia will respond by slowly releasing. It encourages local blood flow and also stimulates your own endorphin system including opiate peptides, these neurotransmitters work to block transmission of pain information to the brain and spinal cord! So fascinating right? It acts almost like a reset button for your muscles. 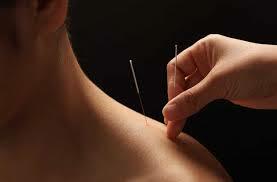 Not only does it help with pain, but dry needling can also help increase your range of motion. This is all due to the release of those annoying trigger points that shorten the muscles. Leaner muscles are way better and function they way they should. Why did we decide this would be good to do alongside therapeutic massage? Great question! Well, when doing dry needling along with massage, your therapist is able to solidify the work that the PT has just done to help re-educate your muscles and fascia if you will. When that takes places your muscles remember how to function on their own again. We want to show you all that bodywork isn’t just one modality. We want you to look at a bigger picture that some modalities just work well together to get you to reach your optimal health goal. We can’t wait for you to experience this and work alongside you to meet your goals!